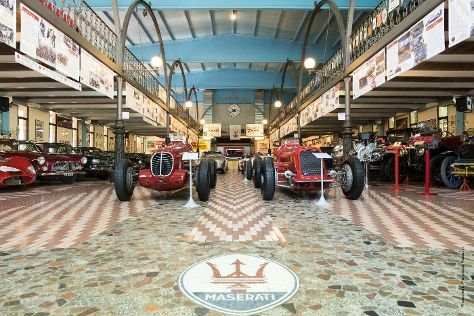 Kick off your visit on the 15th (Tue): contemplate in the serene atmosphere at Duomo di Modena, examine the collection at MEF-Museo Enzo Ferrari, push the limits with an extreme tour, then examine the collection at Museo Ferrari, and finally examine the collection at Panini Motor Museum. For where to stay, maps, traveler tips, and more tourist information, go to the Modena trip tool . If you are flying in from Germany, the closest major airports are Bologna Guglielmo Marconi Airport, Verona Villafranca Airport and Peretola Airport. In January, daily temperatures in Modena can reach 9°C, while at night they dip to 0°C. Finish your sightseeing early on the 15th (Tue) to allow enough time to travel back home.